Deal of the Day: Renault Laguna | What Car? Looking for a new car bargain? Then check out our hot deals section. 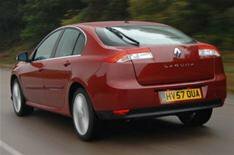 Today, we're highlighting a 5775 saving on the list price of a Renault Laguna 2.0 dCi 150 Dynamique S hatchback. That means you pay just 13,999 for the car.